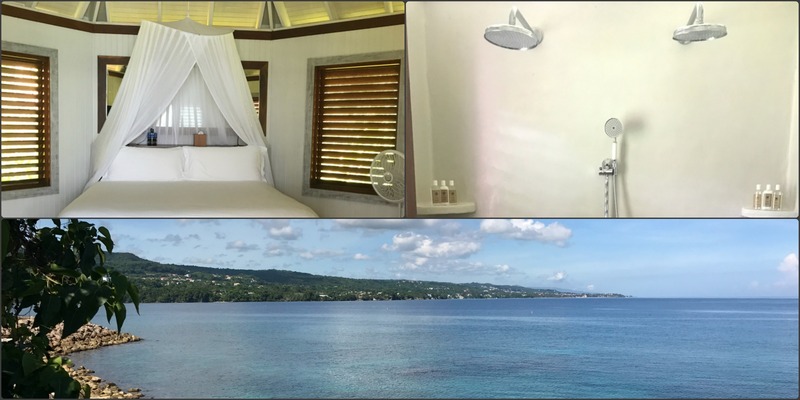 Seeking a luxury getaway in Jamaica? 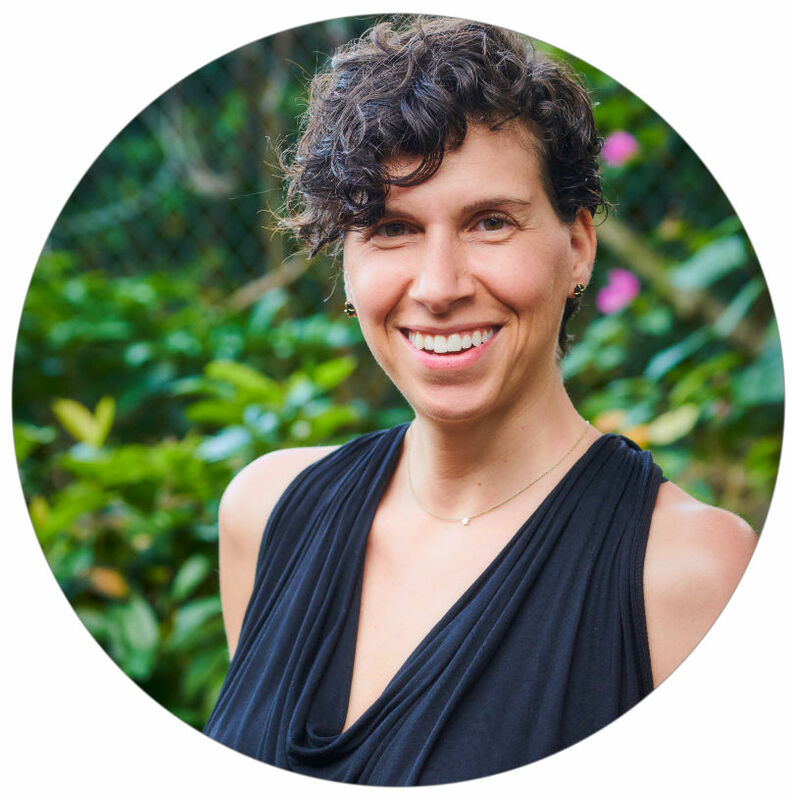 Would you like to be in a quiet neighborhood tucked away from Jamaica’s densely populated cities? Look no further than setting your sights on GoldenEye. 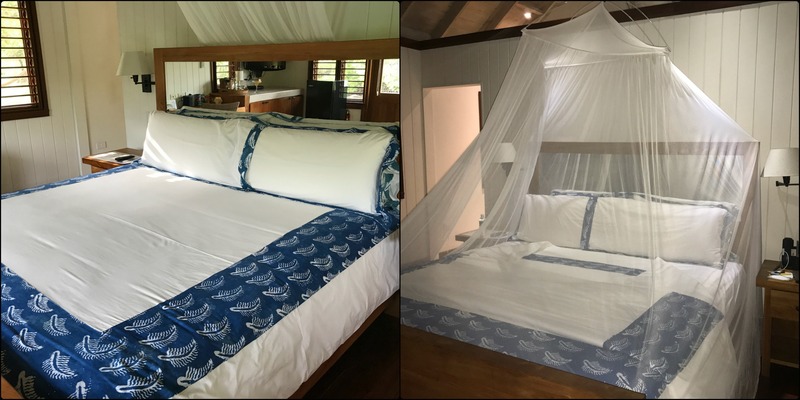 A private retreat located about a two-hour drive from MBJ and conveniently positioned only ten minutes from Ian Fleming airport, you can fly in on a chartered plane from MBJ or KIN, or fly privately from your preferred departure airport. If you don’t mind the drive, it’s a smooth ride on paved roads from Montego Bay to the resort. GoldenEye is a property steeped in history and culture. You can read more about that here, but for now, I’d like to share with you my experiences because I had the opportunity to stay twice, in two different room categories within one month. If you have followed my reviews on TripAdvisor, you know that I have visited Jamaica often, but with most stays in Negril. I booked this trip at the very last minute with a recommendation from my Travel Advisor, and based on what I reviewed online; I chose a Lagoon Suite. 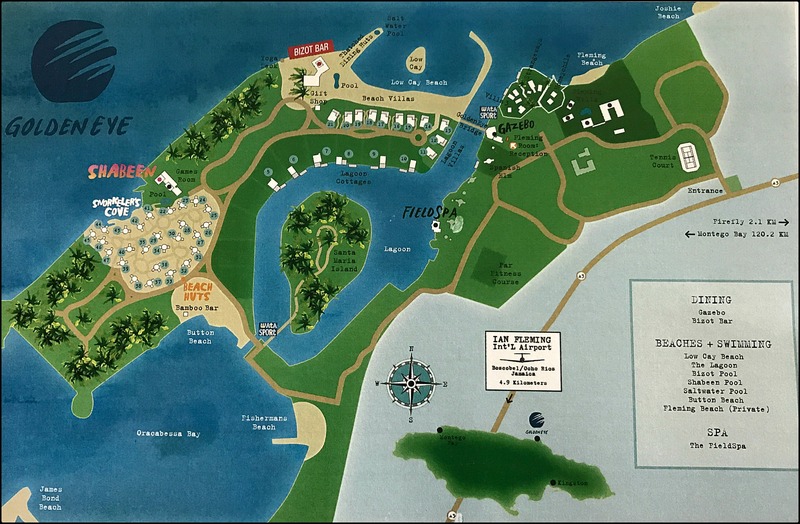 In less than 48 hours, I flew into MBJ, took a 45-min flight to OCJ (Ian Fleming), and a driver from GoldenEye picked me up and welcomed me with a tour of the property and checked me into my suite. As seen from the lagoon. Bed preparation as seen from day to night. A bath fit for a King and Queen. The suite had a mini-fridge, flat-screen TV with Apple TV, Wi-Fi and a Sonos speaker so you could listen to your music while chilling on your vacay. I liked the serenity of the lagoon and having the kayaks dockside was convenient for easy launching whenever I felt the desire to explore. But there’s so much more to see, so let’s go! 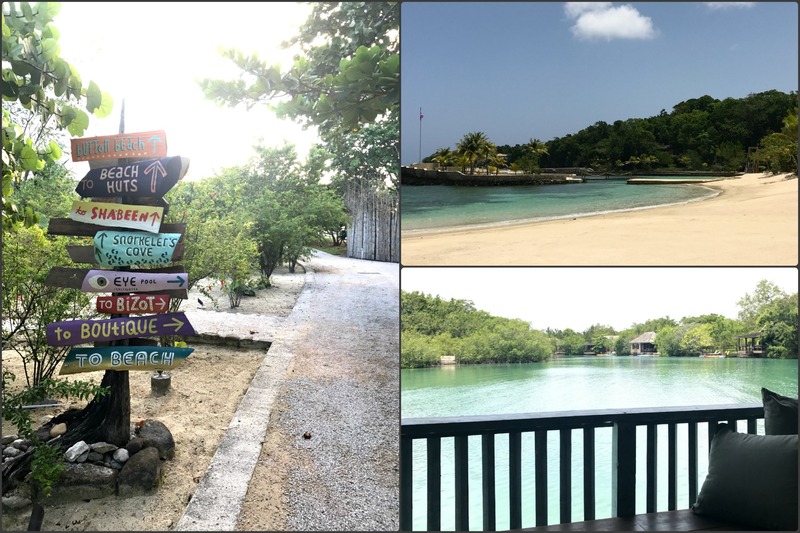 Bizot Bar – Frequented by celebrities, the Bizot Bar is a hip, laid-back gem where you can enjoy breakfast, lunch, an early dinner, and watch the sunset. Reggae music pumps through the speakers day and night, and the bartenders will keep conversations going while lifting your spirits. L to R: Scenes from music legends plastered on columns, I loved the extra-wide barstools for butts big and small, and one of the resident house cats seeking food and attention. The Gazebo – Dinner. Every night. Located near the main entrance, The Gazebo was the only option for dinner, aside from Room Service (Bizot Bar menu), and the Saturday night BBQ. You will be expected to make a reservation daily. This was the only “meh” part of my experience. The menu didn’t change, and I felt much of the food lacked authentic Jamaican flavor and catered more towards an International palate. If all you want to do is relax and lounge, there are three pools, two beaches, the lagoon and a Spa. Take your pick. Thank goodness there’s a map! Just in case you get a little lost, there are signs to help navigate your way. Top right: Low Cay Beach. Lower right: View from the FieldSpa. Shabeen – A bar located near the Beach Huts, be sure to travel upstairs to the rooftop lounge to have one of the very best views. Bizot Bar – Not just great for drinks and food. Stay for sunset, and maybe you’ll be able to snag one of the front row seats! 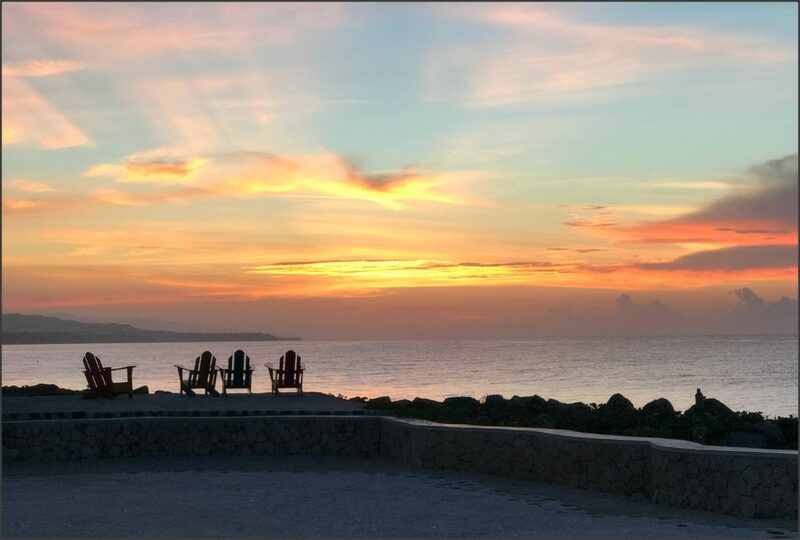 Look to the west while at Bizot Bar and you’ll see this prime spot to watch the sunset! The Beach Huts are a great option! Roughing it luxury style means no air conditioning, but you still have great amenities, and the huts are cute and cozy, welcome the natural breeze, and if you have the inside scoop, you can have a very private hut with a magical sea view! Beach Hut 45 – with an exceptional view! 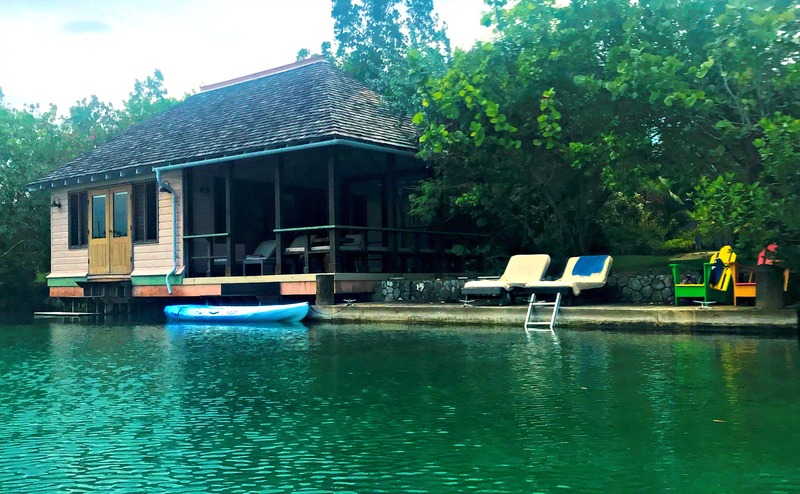 I was delighted to have the opportunity to stay at GoldenEye for an extended period of time. The staff welcomed me back after a brief departure, and what I loved most about GoldenEye were the other guests! 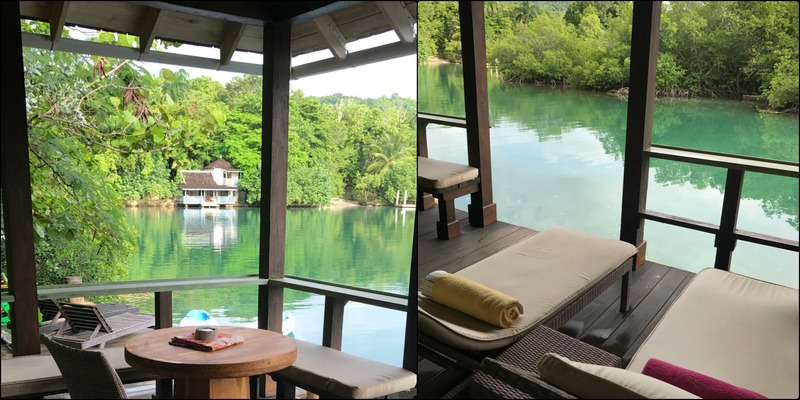 Chris Blackwell has created a relaxed resort that exudes a fabulous blend of chic and comfort with an authentic Jamaican flair. As chill as the property is, so are the guests. 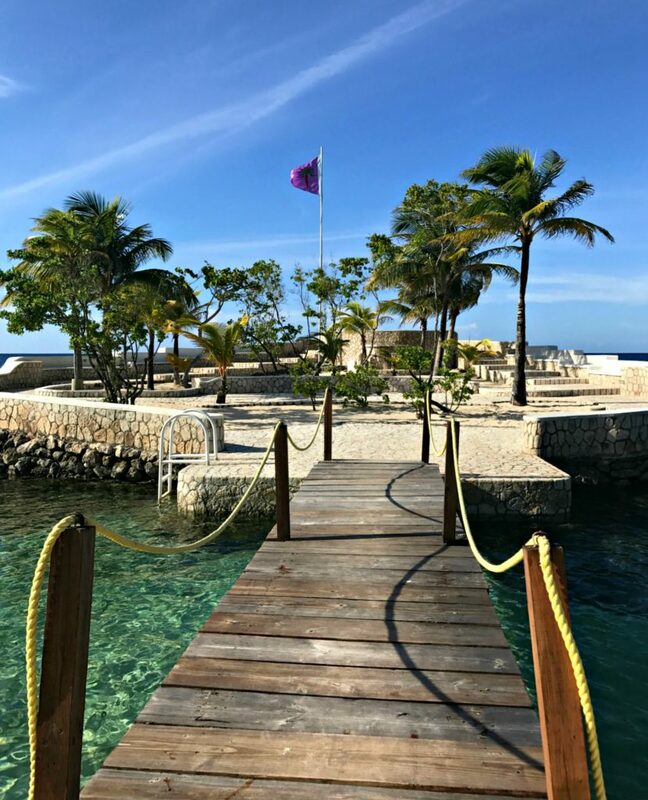 You could have a completely private and quiet sojourn, or convene and have fun snorkeling, paddle boarding, kayaking or dine with a new friend you met at The Gazebo. The choice is yours, and with such fantastic and plentiful options at GoldenEye, you might not want to leave either!